I love connecting humans with animals! It’s an amazing connection that we’re starting to lose in our crazy and busy lives. I started Crumbs & Whiskers to create a space where animal lovers could find that connection again, and where homeless cats could get a second chance. Crumbs & Whiskers is something I am absolutely in love with. This is the story of how C&W was born. 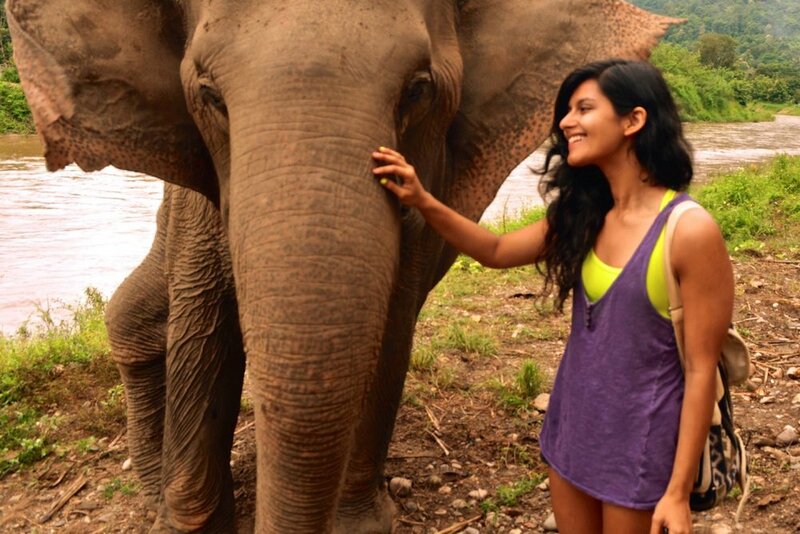 Even though I only spent a few days at that elephant sanctuary, it reminded me of a truth that I had forgotten in the bustle of the city and corporate life: I love, love, love animals. And I wanted to do something with my life that helped animals. But...I also loved business and believed in the power of businesses to create impact that can't be achieved by traditional charities. So I was left wondering: How can I combine my love for socially conscious businesses with my love for animals? Tough question, and I honestly didn't have the answer. Right after the elephant sanctuary, I made some new friends in Chiang Mai. My 24th birthday was just around the corner, and after watching me share all my meals with every stray dog and cat in sight, my new friends realized they knew the perfect place to celebrate my birthday. Suddenly, I found myself in Catmosphere, Chiang Mai's cat cafe. And I fell in love. I wondered why cat cafes didn't exist back home. I thought about the huge impact cat cafes could make by housing homeless cats in a more humane way and increasing adoptions. I wondered if I could start my own cat cafe when I returned to the United States. So I came back to the US, quit my job, and set off to create Crumbs & Whiskers. I had finally found my dream project - a way to intertwine conscious business, animal welfare, and design. I didn't know if this would work and I was honestly scared out of my mind, but I knew I had to give it a shot. Today, Crumbs & Whiskers is a dream come true. I'm still figuring things out and learning the ropes (there are many ropes), but I wouldn’t trade anything in the world for this experience. Things are just getting started around here and I'm truly proud and excited to count you as part of the Crumbs & Whiskers community. Thank you for supporting us and for helping us create a better world for animals - it means the world to me. Bruce Wayne, one of our adopted cats in LA!